You can’t go wrong with a fitted little black dress paired with a stacked heel sandal. Depending upon where you are in Southern California, temperatures inevitably dip at night, so bring along your favourite, worn denim jacket. A top bun keeps the look clean and fresh while the mirrored aviators add sass. This look is one of my favourites…it’s such a modern twist on a classic, and perfect for summer to achieve a casual, yet pulled together feel. 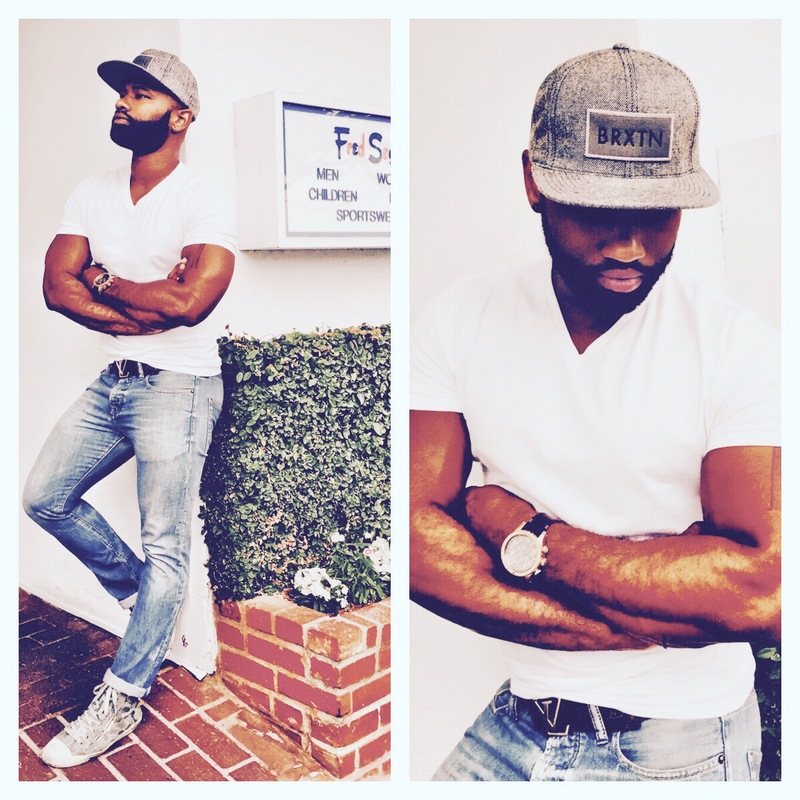 Courtney is wearing a #Brixton hat, Bread & Boxer tee, Louis Vuitton belt, Scotch& Soda/Ralston fit jeans and #Nixon watch. Summertime in Los Angeles is quite delightful. No matter how hot it may get during the daytime, it cools off substantially by nighttime, which is why many of us keep our fall pieces in rotation year around, and with plenty of dinners al fresco, some nights require stepping it up a few notches. 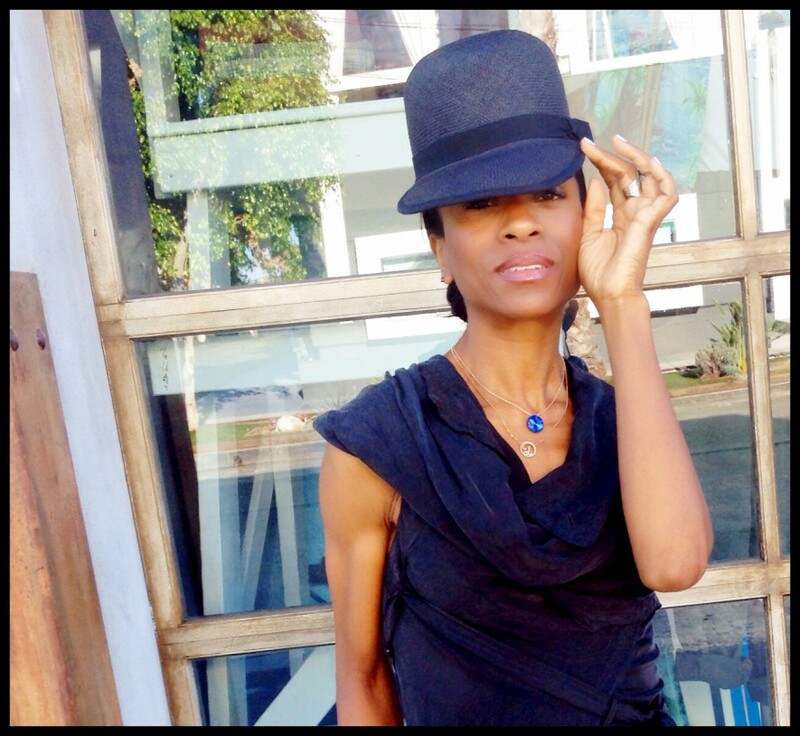 These lovely stylistas show us how it’s done. Swedish model Frida Gustafsson dons this cozy sweater, very apropos for a cool summer evening, and achieves just the right amount of edge with accessories. 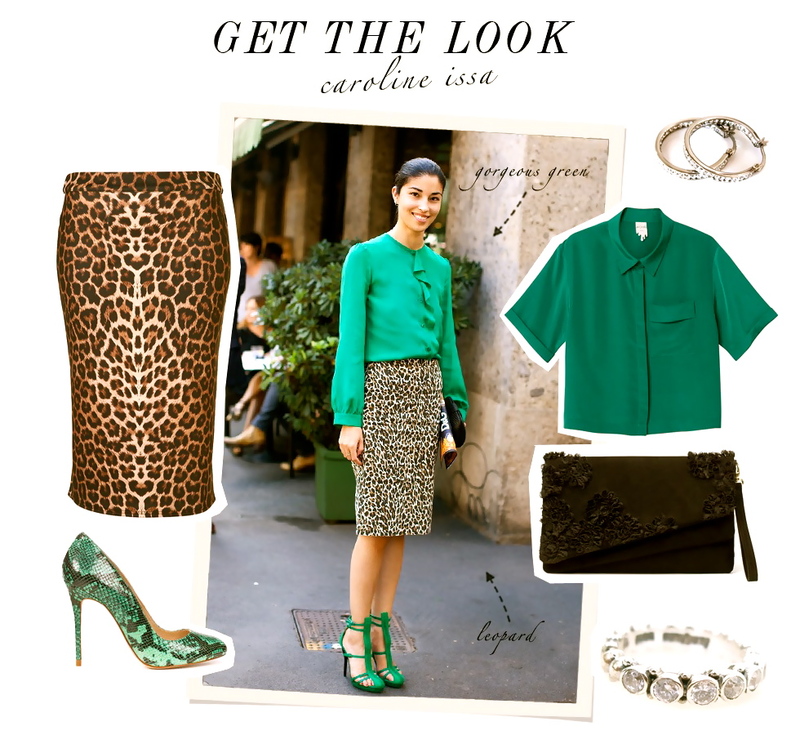 Caroline Issa, fashion icon and fashion director of Tank Magazine looks just right for an evening dinner party in this rich, jewel-toned blouse and leopard print skirt. The green in addition to the animal print translate into fun…we don’t want to be too serious and stuffy for such an occasion. on the flip side, PLEASE do not pair summer shorts in 80 degrees weather with Uggs, and stop justifying this ridiculous trend by saying the fleece insoles keep your feet cool. I own Uggs for my trips to Chicago and other cold climates during the wintertime, and my feet sweat in them when its 20 degrees, I can’t imagine what is happening in them at a whopping 80 degrees and up. I thought for sure this trend was over and done, but to my dismay, I am seeing this fashion faux pas sprouting up again as the temperatures heat up. This is one fashion mishap, which will be the source of much embarrassment, as those who partook reflect back on photos years from now. I’m not sure if this is just an LA trend, but whatever the case may be, oh happy day when it finally goes away! With the first sign of warmer temperatures New Yorkers are eager to dress the part after months of cabin fever. 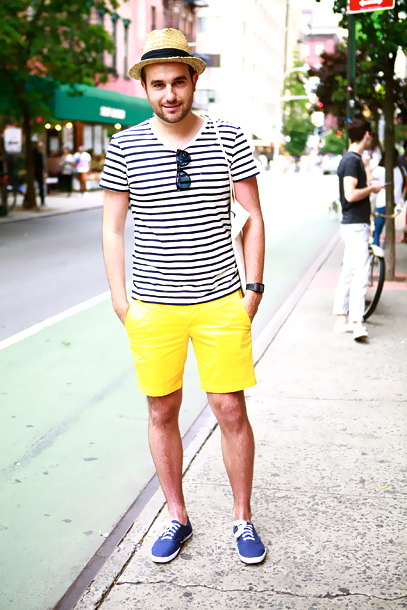 Summer isn’t just about flip flops, tanks and shorts, these New Yorkers show us it is possible to keep cool while looking fashion savvy. When summer rolls around, as enticing as it may be to don your favourite sundress and flip flops, it is not acceptable at most work places. Antonia Wesseloh looks fresh, and work ready in this streamlined look with a pop of colour. The scarf and handbag add the perfect balance with the turquoise skinny jeans. This look easily goes from work to play simply by switching out the blazer for a soft, summer blouse and summer sandal in lieu of the short boots. Daiane Conterato, a native of Brazil, is no stranger to bold colour. This ensemble is perfect for the typical summer day. 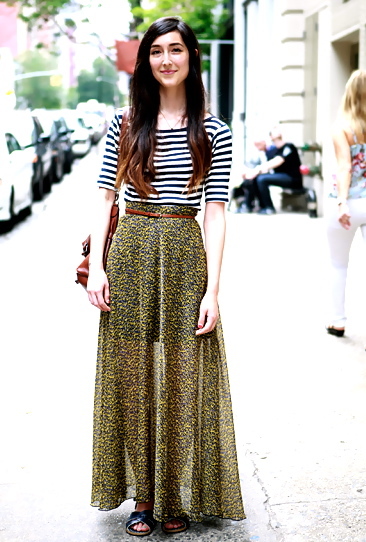 The green wide-leg trouser offers a great pop of colour and the ideal combination with a loose fitting blouse. The statement necklace and platform sandal complete this look beautifully. We love the hubbies, children and often demanding careers, however, planning a girls weekend is highly therapeutic. Staying up until the wee hours of the morning chatting it up about everything from the minute to the colossal, is a luxury in the midst of our busy lives. Last weekend this is exactly what the girls and I did. During the course of an endless cacophony of laughter, conversation and good eats, one of the girls disappeared for a few moments. Upon her return we all looked in utter amazement at what seemed to be freshly collagen injected lips, and demanded to know what she had applied. 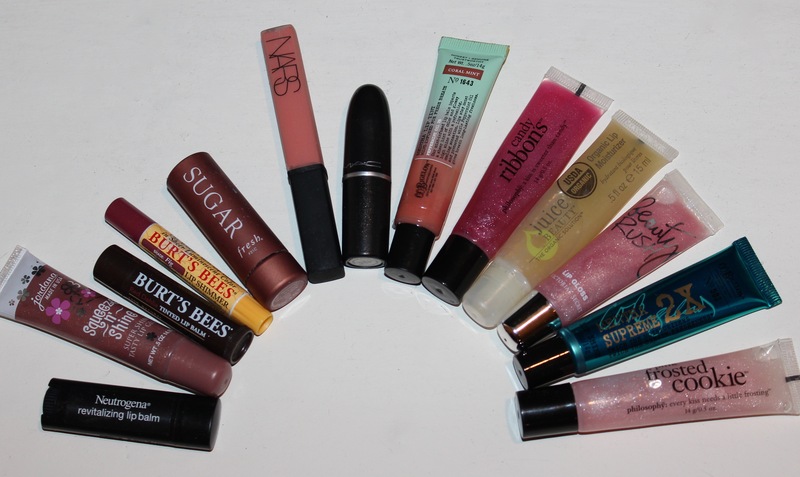 This led to each of us dumping out our cosmetic bags for a glimpse of the items we faithfully keep at an arms reach, and as it turns out, glosses took the lead by an overwhelming margin. With Summer on the horizon, I thought it’d be fitting to pass on our reviews. Our group included: a vocalist, a television personality, an actress and of course yours truly. Jordana Squeeze ‘N Shine in Tahitian Tea– Our television personality uses this one and says, “It’s a great gloss on a budget, adds just the right touch of colour and has beautiful shine.” Furthermore it’s only $1.99, and available in 12 shades (Incidentally, this is the one which delivered the collagen injected look). Nars Gloss in Giza– Our television personality says, “This is my favourite shade of coral ever! 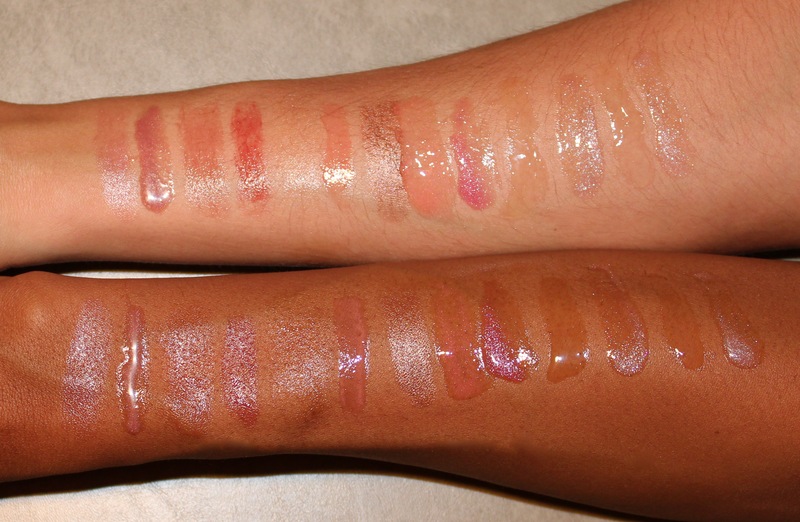 The colour you see in the tube is true to the colour you will see on the lips, it’s my go-to splurge gloss!” at $24 a pop. C.O. Bigelow Mentha Lip Gloss in Coral Mint– Our vocalist also gave this one high marks, singing of its goodness, “This is a mint lovers must, it’s magnified mint in a tube, and although it has no colour, you can count on high shine and staying power..it makes you want to kiss yourself!” Although this shade has been phased out, the Mentha Supreme 2x Lip Shine is a great alternative, more on that below.